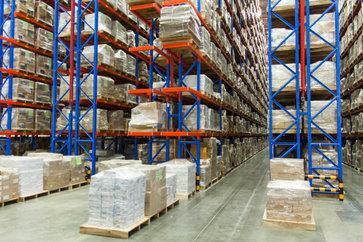 Maximizing your storage space is one of the most important things for your warehouse, and pallet racks are the perfect means to a well-organized end. When it comes to warehouse design, maximizing organization should be at the top of your list. This will help improve productivity, as well as safety and visual appeal. Pallet racks allow businesses to take advantage of the vertical space of their facility and maximize storage. But what type of pallet racking should you select: new or used, push-back or drive-in, gravity flow or cantilever? As with most materials handling items, it is important to consult a professional before making any purchase. When it comes to pallet racks, in particular, there are a number of different types and sizes of uprights, beams, wire decking, row spacers, and other accessories that will help maximize the effectiveness of your pallet rack system. And the S.W. Betz Company can help. S.W. Betz has been providing businesses with all of their essential Weighing, Material Handling, Dock, and Warehouse equipment since 1933. We sell both new and used pallet racks, and are a proud supplier of Husky Rack and Wire products. S.W. Betz offers pallet rack repair and installation services as well. From supplying items to installation to maintenance and repairs, you can count on S.W. Betz to work with you and provide you with their extensive knowledge of the industry. Space Savers: Pallet racks help maximize the storage capacity of your warehouse by utilizing vertical space. This also helps maximize floor space, which is often lacking in warehouse settings. Convenience: Pallet racking systems are also convenient. They are easy-to-use and simply make life easier for your forklift operators. This leads to increased productivity, which means increased profitability. That’s what we like to call a win-win! Safety: By improving storage capacity, you also help improve warehouse safety. Accessories: To “complete” your pallet rack, you will need accessories made to enhance and extend its functions. Click Here to learn more. If you want to learn more about Pallet Racks (sales, assembly, or repair), please contact S.W. Betz by calling 410-574-1414 or 800-332-0322 today! You can count on the S.W. Betz Company to work with you and provide you with our extensive knowledge of the industry. This entry was posted on Tuesday, August 18th, 2015 at 3:48 pm. Both comments and pings are currently closed.